3a.the Vandyke stitches go up and down on this row. 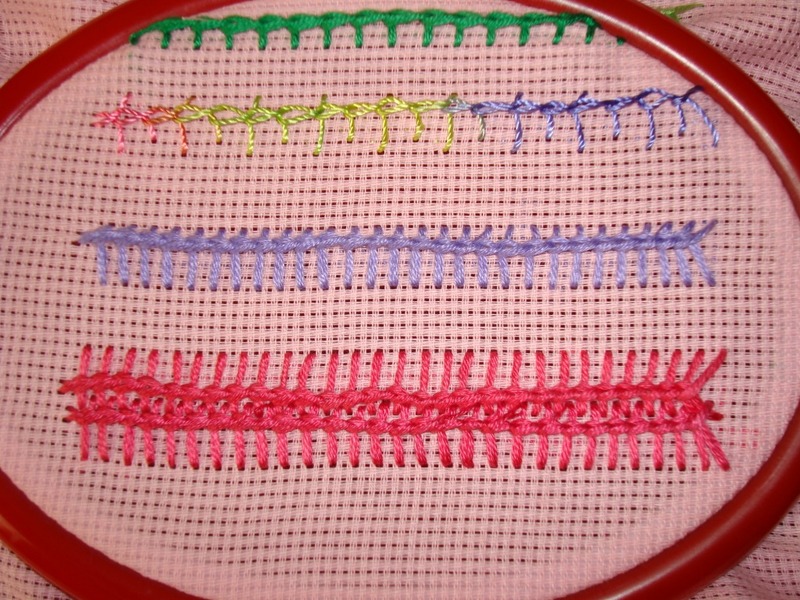 3b.the Vandyke stitches are worked on a curve. 3c. 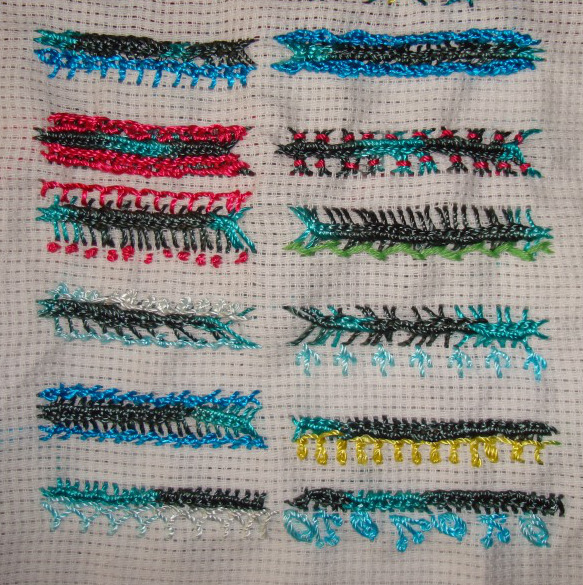 the same long and short Vandyke stitches are done with two stitches together, the last few stitches have a mind of there own towards the end.LOL! 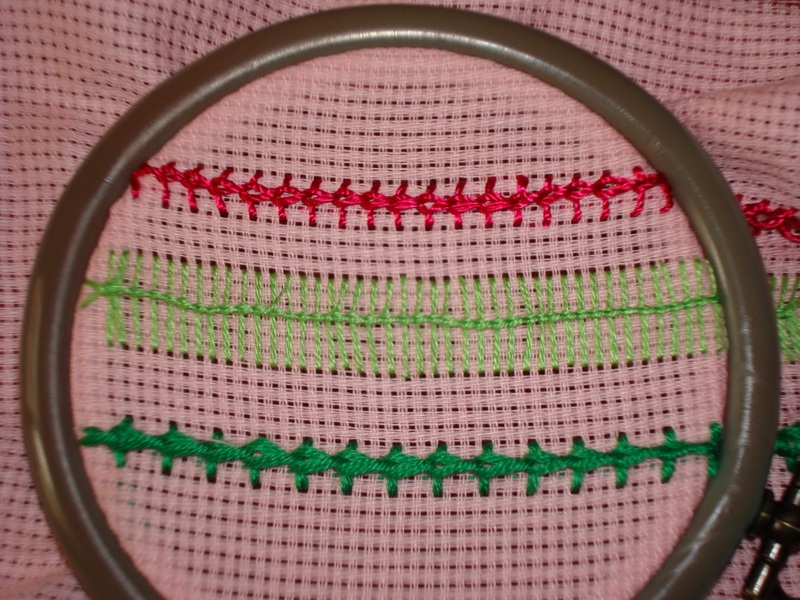 2b.here the Vandyke stitches are worked towards the top, making the bottom longer. 2c. 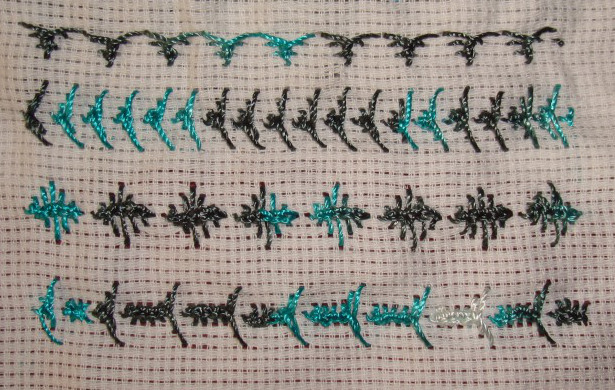 the Vandyke stitches are worked on two rows of intercepting stitches. A few more variations are there. 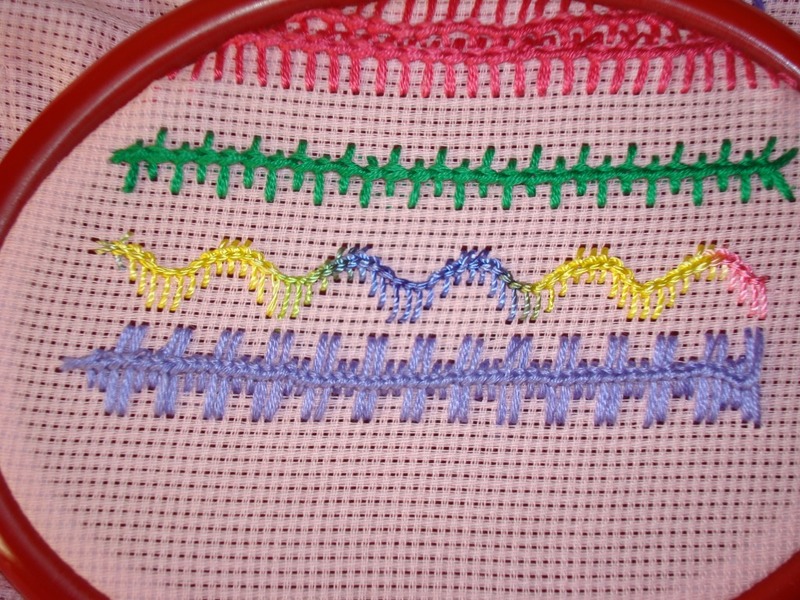 1a.this row I learnt how to work this stitch. 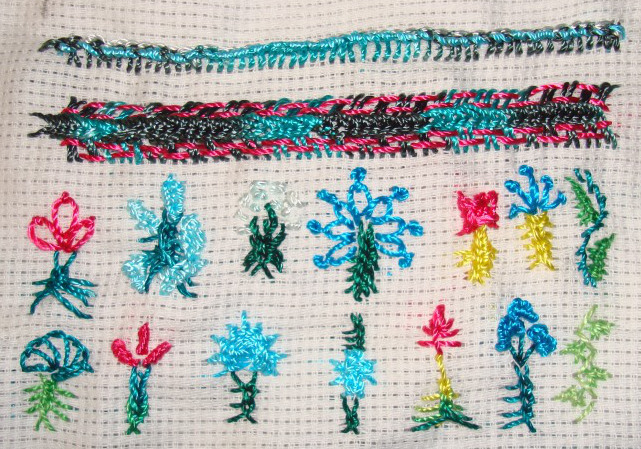 1b.the stitches worked are quite long. 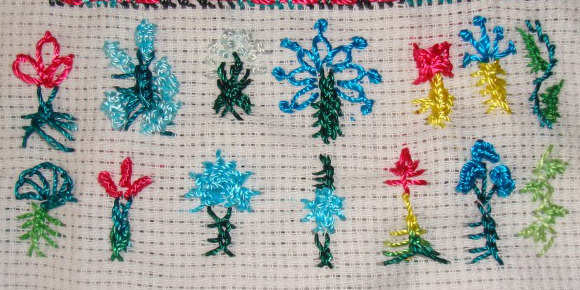 1c the stitches are short and the thread used is thick in this row.